Despite a torrent of speculation recently that has claimed Apple will announce two new iPhones this October, a research note from Wedge Partners analyst Brian Blair says otherwise. That fancy new iPhone 5 you’ve been dreaming about? That won’t be coming, according to Blair — only the iPhone 4S will. Blair agrees with a number of other analysts who have seen no signs of a redesigned iPhone in Apple’s supply chain. He says that while there will be some improvements to the device — such as the introduction of Apple’s dual-core A5 processor, and an 8-megapixel camera — it will look identical to the iPhone 4. “We expect the focus of the new iPhone will be iOS 5, a speedier A5 processor and a higher resolution 8 MP camera with a small possibility of a larger 4 inch screen. From a consumer’s point of view, it is slightly concerning that we’re yet to see any real evidence for a redesigned iPhone. Other than those iPhone 5 cases that have been popping up all over the place, we’ve seen no substantial indication — such as genuine Apple components — that the fifth-generation iPhone will look any different to the iPhone 4. We have, however, seen a device identical to the iPhone 4 with an A5 processor, which strengthens these claims from analysts that the device will look no different. Having said that, I think Apple needs to do something different now. The iPhone 4 has been on the market for nearly 15 months, and it seems the whole world owns one. (Apart from those Androidians.) Unless there are some substantial changes — and I’m talking about more than an A5 processor and an 8-megapixel camera — will people really tie themselves into another two-year contract for some minor improvements? I mean, the iPhone 4 is already super quick, and it takes some great photos with its 5-megapixel camera. I’m not sure I’d want to be tied to an iPhone 4S for two years. What do you think? 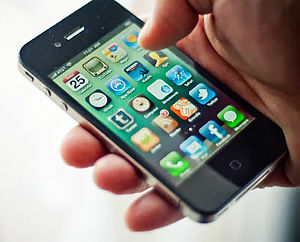 Will you upgrade from an iPhone 4 to an iPhone 4S?